Saturday 29th April 2017 is the big day. Walkers, runners and supporters have started arriving. They are coming by ferry, scheduled and chartered air flights. 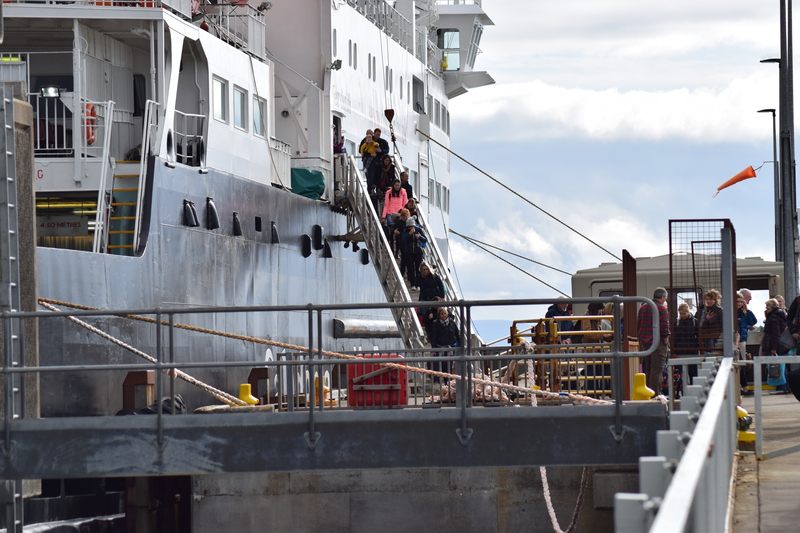 Today’s ferry was exceptionally busy with cyclists and foot passengers. 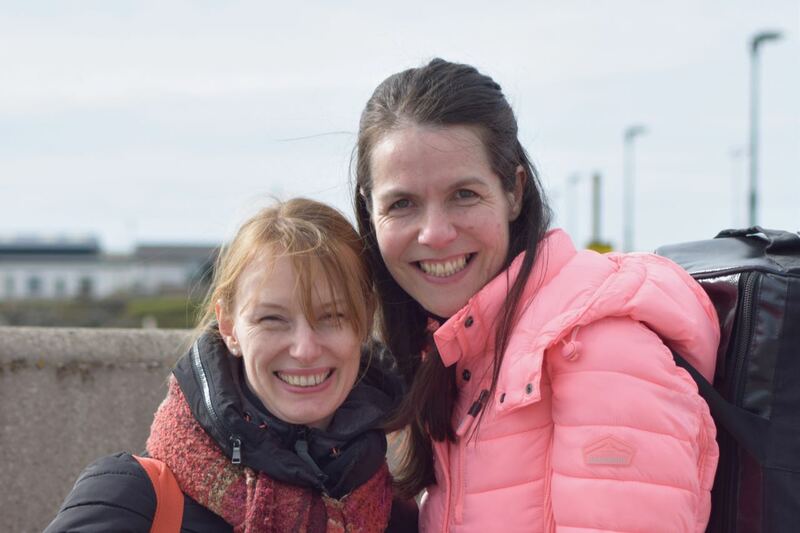 Tiree’s official welcome at the pier – artistic licence. It’s Friday and the weather today has been remarkably calm. 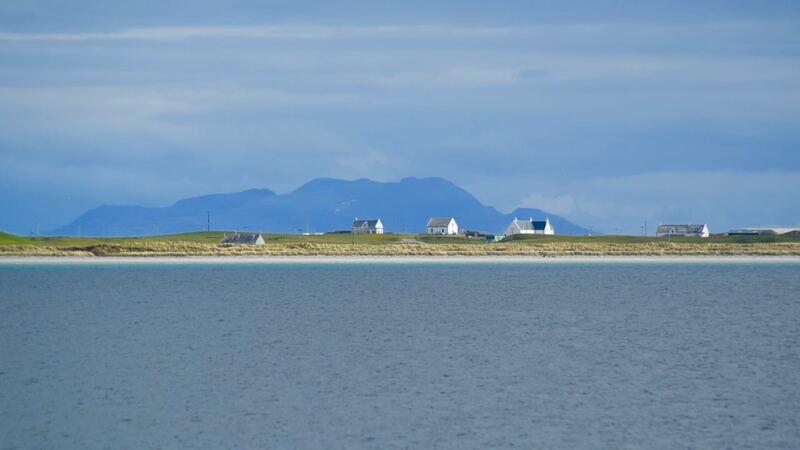 For Tiree it is warm, bright and still. The sun was dancing on the water as the ferry entered Gott Bay. Overhead gulls were determined to photo-bomb the picture. 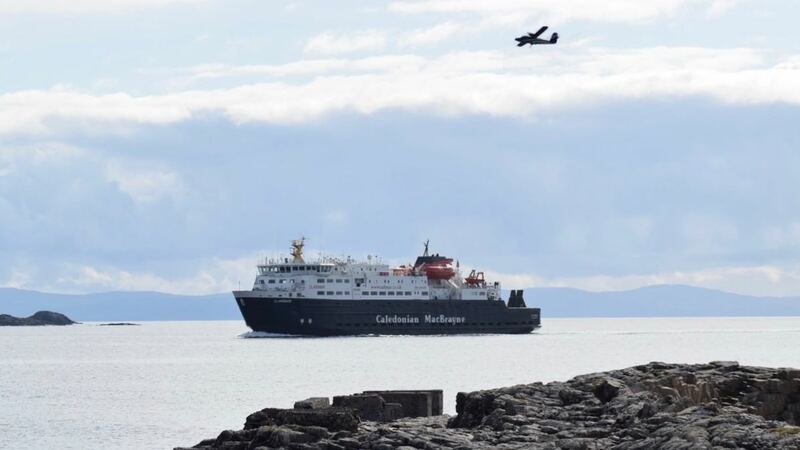 The morning flight passed over the arriving ferry. By air and sea they are coming. 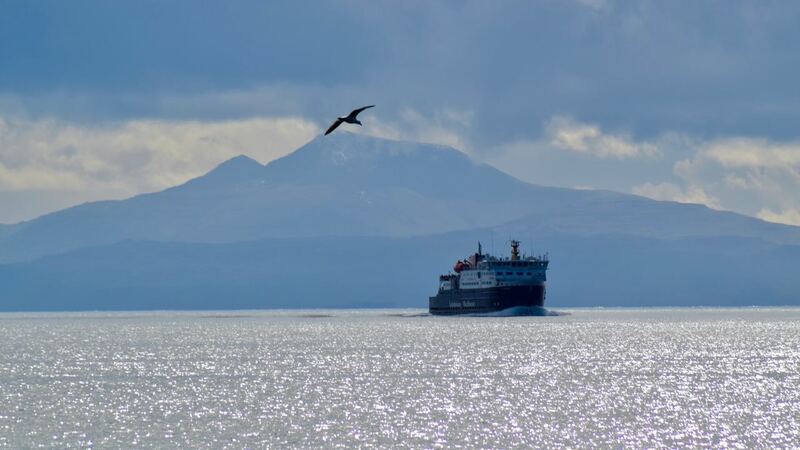 It’s the Bank Holiday weekend and many were heading for the Mainland. 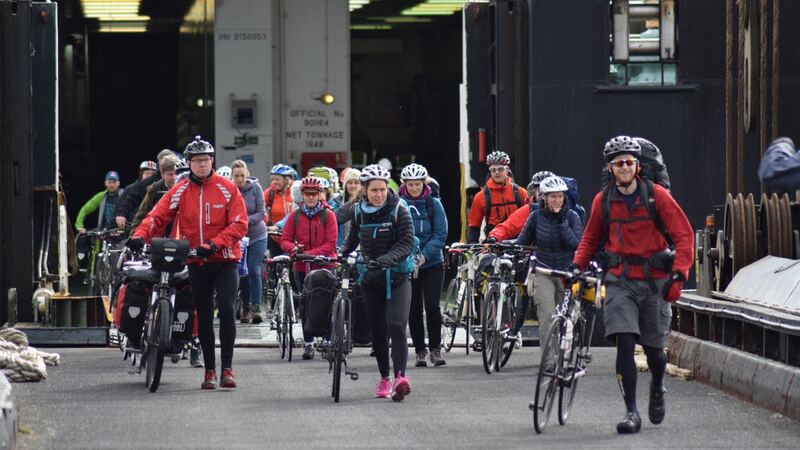 However many more were arriving by car, cycle and as foot passengers. Many are return visitors but for many it will be their first visit. A warm, friendly welcome awaits them. Among the arrivals were well known faces. It was great to receive a friendly wave. It was a morning for such greetings. Some were even willing to pose for the camera. There was no need to say, “Smile please”. Their faces just lit up. No need to say ‘Smile please’! Finally, once all the vehicles were cleared, off came the cyclists. 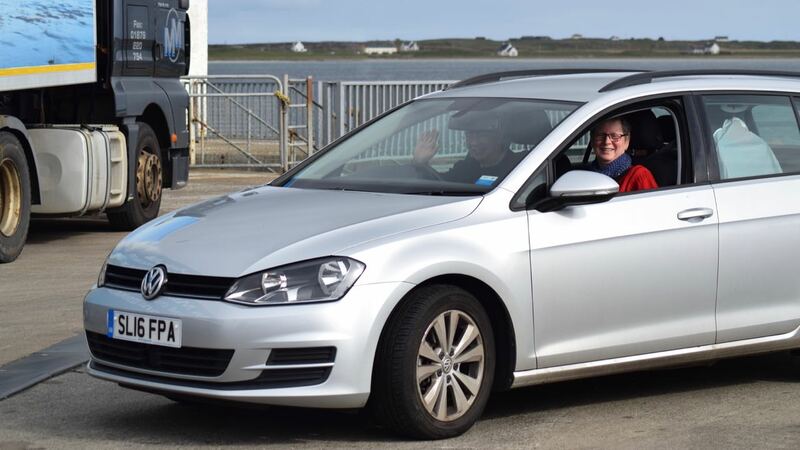 Tiree’s roads are going to be extremely busy over the weekend. Cyclists need to remember to dismount to allow cars to pass. This is for safety’s sake on our single track roads. Registration is on Friday evening and Saturday morning. The race itself starts at 2:pm on Sorobaidh Beach. In the evening is the dance and prize-giving. 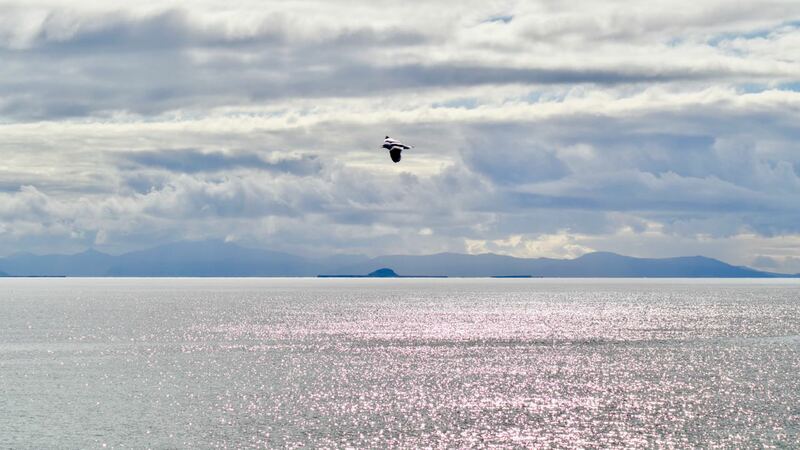 Looking across the calm waters of Gott Bay to the Isle Rum. 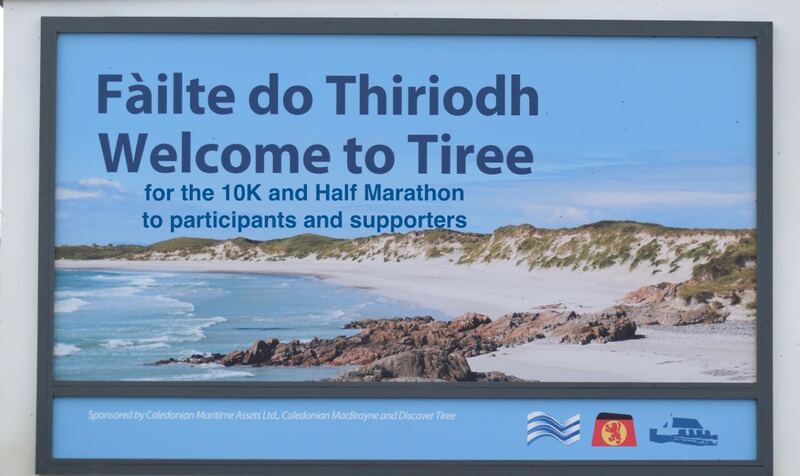 The Tiree 10K and Half Marathon is an established event. It has become so popular it is fully subscribed. Participants come from all over.